We help promote your business to the greater Blue Ash community by providing an online directory. Our business members help enhance the Blue Ash business environment and community by volunteering at community events and supporting the city of Blue Ash. Our membership helps improve the Blue Ash business environment and the Blue Ash community by holding networking events that help promote our membership and the Blue Ash community and providing goods and services needed by the Blue Ash community. Blue Ash Business Association (BABA) hosts monthly get togethers on the first Thursday of every month (excluding July) where members and guests have the opportunity to network with other business people over food in a casual atmosphere. Attendees share business cards, discuss opportunities or recommend potential new business to expand your contacts throughout the community. Dates are listed on the BABA website calendar. 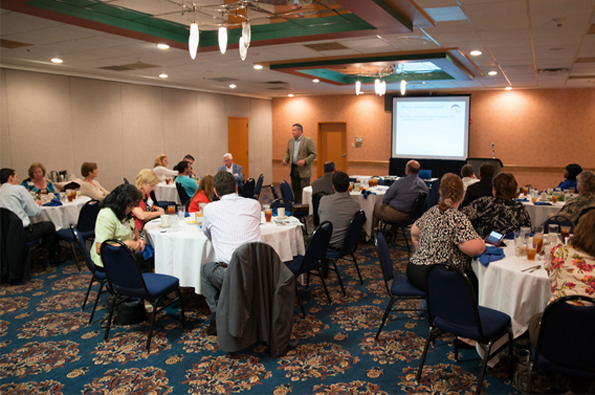 Two of the three meetings each quarter are luncheons at member restaurants with the third being an evening get together 4:30 – 6:30 at a member location so all work schedules have an opportunity and the hosts can showcase their business. 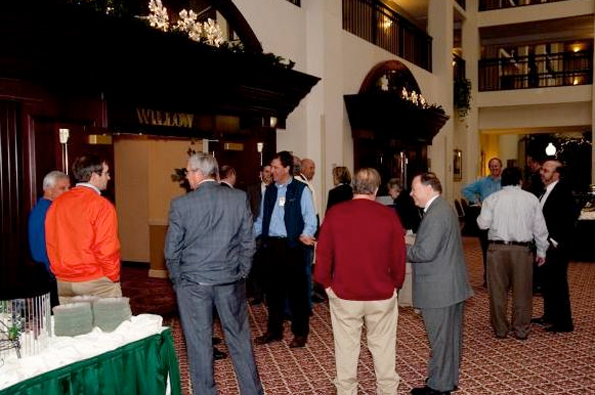 In addition, throughout the year, there are Coffee and Connections events from 7:30am – 8:30am. Again, check our calendar for dates/topics/locations. Approximately 70% of our Blue Ash Business Association(BABA) membership is composed of companies that employ up to 50 employees. BABA meets their needs through member-to-member discount services/products, educational seminars, etc. Blue Ash Business Association is dedicated to helping new businesses by connecting them to our Membership team who can offer assistance. July 4th, Red, White and Blue Ash spectacular air and ground displays of Rozzi fireworks provides BABA the opportunity to host a Craft Beer booth during the event (4:00 – 10:00) where all of our tips go to a worthy, local charity. We are taking a few years off from offering a scholarship to give back to the community in other ways. Blue Ash Elementary School is very appreciative of our continued support for several of their families through the Fill-a-Bag, Feed-a-Family program . We collect items and monetary donations at our events to continue to help several families. Click here to download a printable version of a list of the items needed. Please bring them to any of our luncheons, Business After Hours, Quarterly Educational Seminars, or click here to contact Carol Venn for pick up. Many thanks for thinking of our children. The Member Spotlight is a feature for our members to tell us more about their products and services in their own words. The Member Spotlights help both Blue Ash Business Association members and website visitors learn more about the spotlighted members. You’re going to this event! View your order.